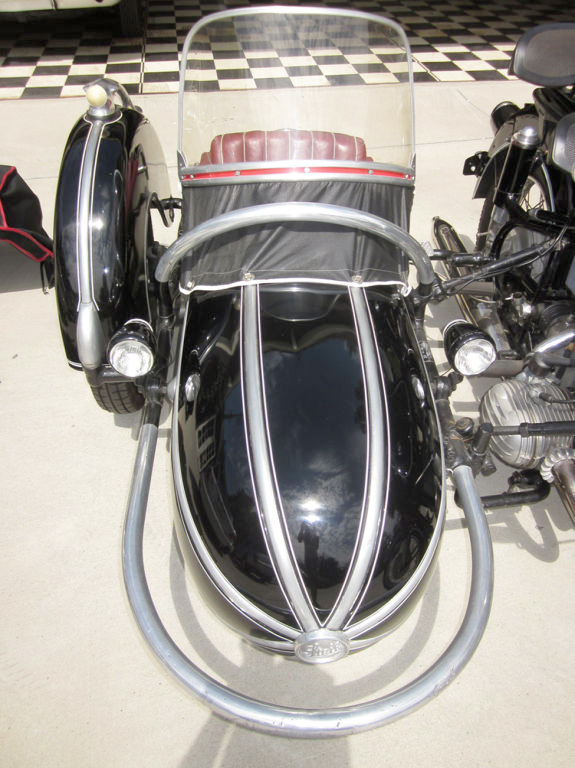 In 1956, ten years after BMW resumed motorcycle production, they released the R60, a low compression model that was favored by sidecar drivers. 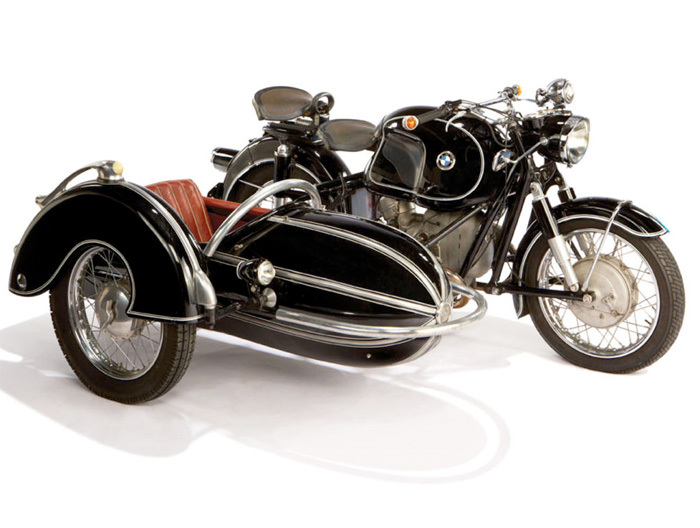 The classic Steib sidecar, with its’ Zeppelin – style design, is a flawless accompaniment to BMW’s advanced technological design. Signature details include handlebar turn signals, large touring tank, stylized fender handle, and distinct VDO speedometer and rev counter, a combination of stylish features that showcase BMW’s peerless design. The motorcycle originated from the Steve McQueen motorcycle auction, and is in fine running condition.